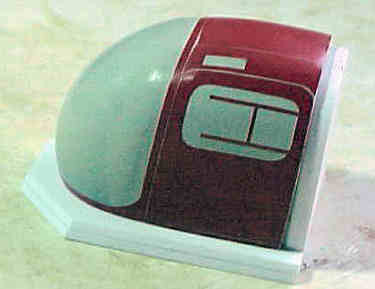 1.Revell's re-box of their 1:144 Puma is now available. This is the RAF 230 Sqn. XW231 - 2005 Tigermeet version, #04047. 2. 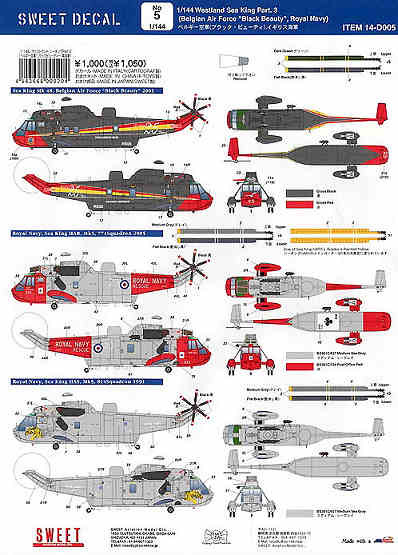 Also now available are Italeri's re-issues of their 1:72 MH-53E and AB204B, #1065 and #1201 respectively. 3. Dragon have re-issued their 1:144 AH-64B (should be AH-64D), #4530. The Fa-223 has been one of Huma's best selling 1/72 scale kits so it's suprising it has taken so long for a 1/48 release! This new Special Hobby offering is vastly more detailed than the 1/72 kit (and it's cheaper too!) and includes a 'maze' of interior frame work! 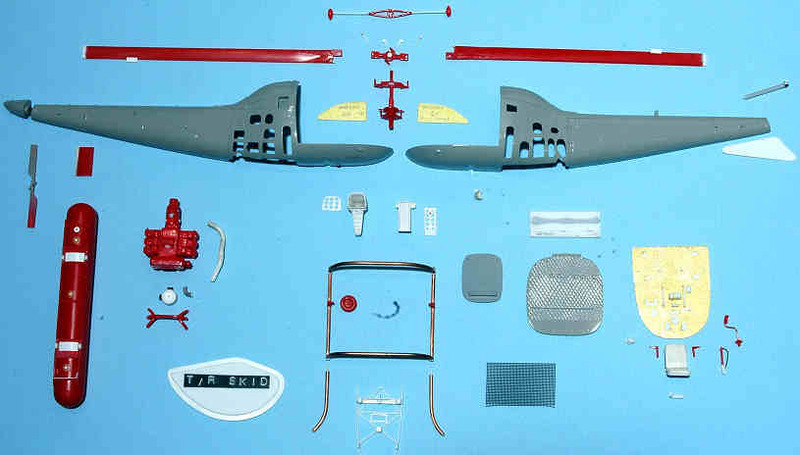 In all, there are 88 short run injection moulded parts (including seven in clear plastic), four resin parts, a photo etched fret and a set of decals with markings for four aircraft. Cockpit detail is excellent with photo etched seat belts and control handles. The cockpit, with all it's frame work, attaches to the rear fuselage half and is then sandwiched between the front halves, before you attached the 'clear' nose section. The complex frame work on which the twin rotors are mounted is also very well done...as are the rotor heads...the landing gear is attached to this framework and angles outwards...as shown in the instructions (which include four pages of four view drawings). 5. In mid-April (hopefully) there will be a new limited edition 1:48 kit of the Agusta Bell 47J, cast in resin and white metal. There will be about 50 parts, plus decals for Italian Custom Police x2, Italian Air Force x2, Italian Police and US Coast Guard. Email Maurizio Di Terlizzi to place your order. 6. 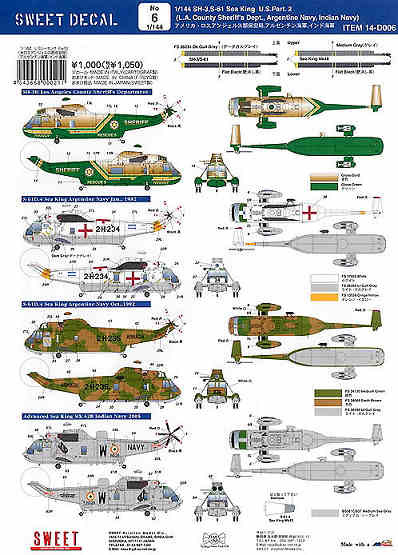 Kopro will be re-issuing their 1:72 Mi-4 Hound kit in the form of a Harbin Z-5 (Chinese licence-build Mi-4), kit #3138. 11644, UH-60L Blackhawk Medical Evacuation "features the Presidential seal and distinctive markings"
11642, Marine One Presidential Helicopter "the markings are distinctive and our detailing in the model delivers value"
8. The so far mythical 1:72 S-76 said to be coming from Legato/Miku is now appearing in some future release lists under the RVHP label instead, but with the same number - LK09172. 10. 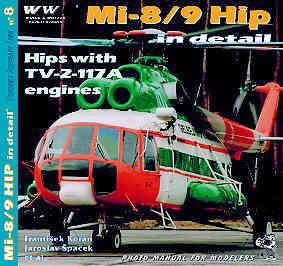 The next Photo Manual for Modellers (No.8 in the 'Blue Series') from Wings and Wheels Publications will be Mi-8/9 Hip in detail - Hips with TV-2-117A engines by Frantisek Koran and Jaroslav Spacek. As implied by the title, the Mi-8 variants (T,S,TBK,PPA and Mi-9) covered in this book all have the longer, older TV-2-117 engines. A further title covering the newer Mi-8MT/MTV/14/17/171/172 variants with the shorter, more powerful TV-3117 will follow later. 11. A future publication from Aeroguide is #33, which will be about the AH-64A Apache. Thanks to Jaroslav Spacek, Pete Brown, Florent Ollagnier (see new Gallery link), and Maurizio Di Terlizzi.